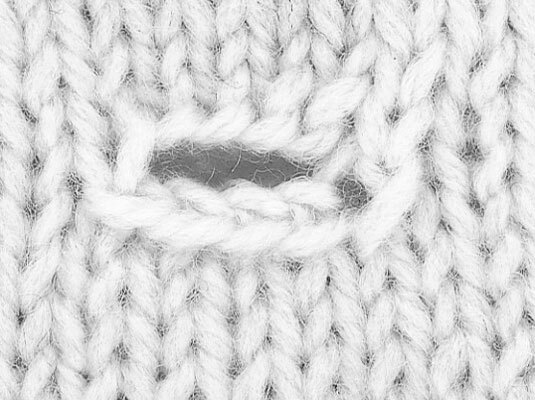 The technique for a knitting horizontal buttonhole creates a durable, attractive buttonhole. 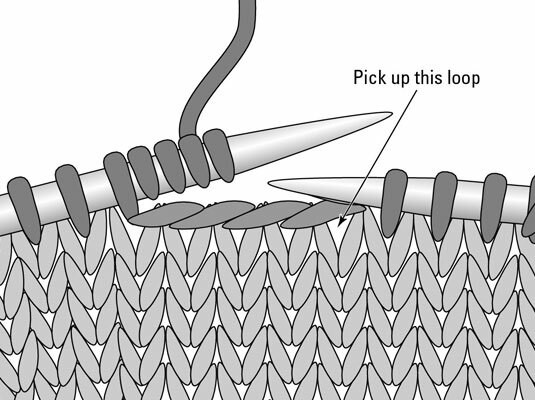 Try your hand at knitting this 4-stitch horizontal buttonhole, which takes 2 rows to complete. Work Row 1 (RS) to the position of the buttonhole. Knit the next stitch tightly. Hold the yarn taut all the while. Continue working in the pattern to the end of the row. If you count your stitches, you should have 4 fewer stitches on your needle for each buttonhole you’ve worked on the row. Work Row 2 to the bound-off stitches of the buttonhole. Using the thumb or cable cast-on method, tightly cast on 4 stitches. With the tip of the LH needle, pick up the outer edge of the loop from the first bound-off stitch and purl it together with the next stitch. Continue to purl or work in the pattern to the end of the row.